As New Horizons continues to close the gap between itself and Pluto more details are being revealed in images of the planet and its (comparatively) giant moon. 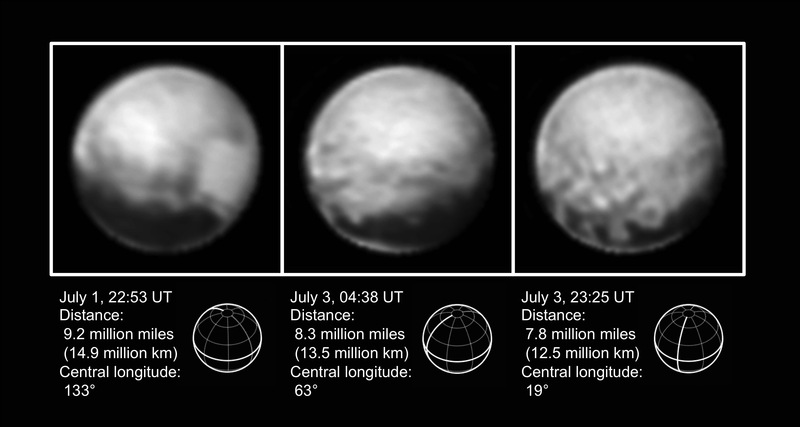 Some of the latest images are showing some particularly intriguing features just below Pluto’s equator: a row of somewhat evenly-spaced dark spots, each about 300 miles (480 km) wide. The New Horizons team combined black-and-white images of Pluto and Charon from the spacecraft’s Long-Range Reconnaissance Imager (LORRI) with lower-resolution color data from the Ralph instrument to produce the image above. This is the first time these dark spots have been observed and scientists aren’t sure what to make of them. See an annotated version of the images here. 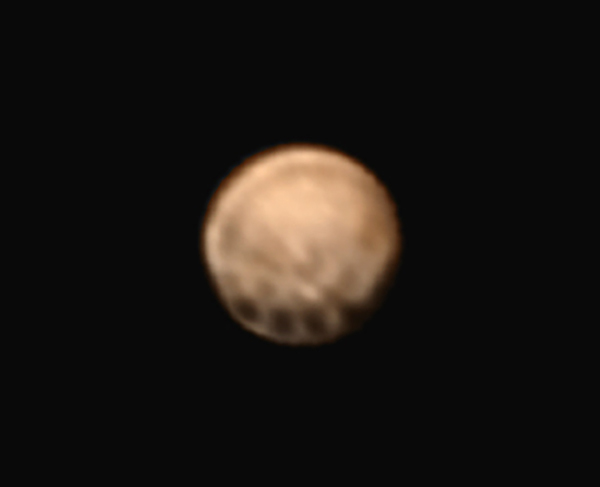 Cropped version of Pluto image (original orientation). NASA/Johns Hopkins University Applied Physics Laboratory/Southwest Research Institute. New Horizons will perform its closest pass of Pluto and Charon on July 14. Previous Post Are You Ready For Pluto? 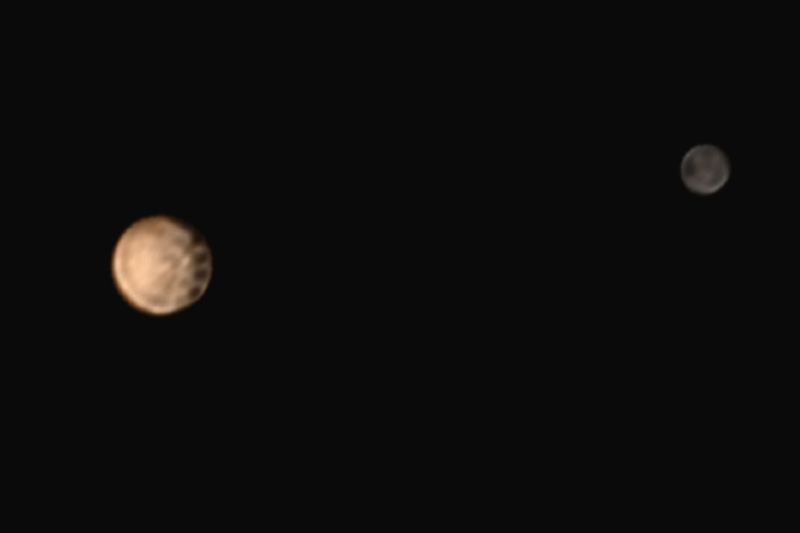 Next Post Here’s Pluto Like You’ve Never Seen It Before! As far as I know, the reddish color is not rare in the Solar System…! I predict that we’ll find that the spots are shadows of mountains. You heard it here first! umh, morning, or.. I have some interest in your work and i was hoping you’d consider reading my blog and featuring it on yours… It’s abstract philosophy and pseudo-scientific concepts… please do consider. Reblogged this on Talal Abbasi.